Designed and developed by Neale Consulting Engineers Ltd. (NCEL), UK, Poldaw Windpumps are intended principally for use in developing countries. 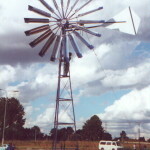 Poldaw Windpumps are a truly “appropriate technology” for rural water supply in many situations. 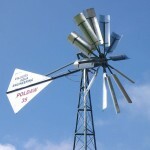 The Poldaw Windpumps are a range of medium sized low cost machines. 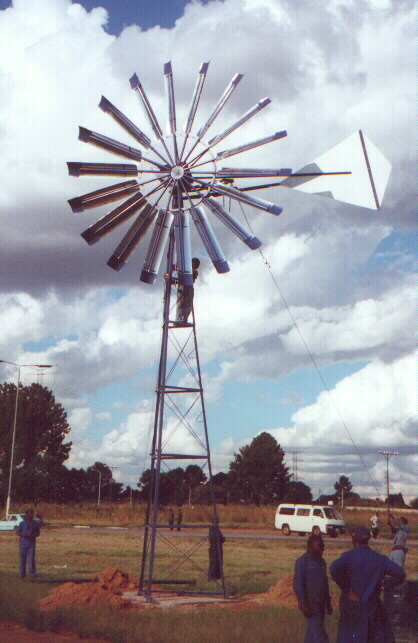 We have extensive experience of appropriate technology machinery design, designing the “IT” windpump (an ITDG charity project) for the developing world during the 1980’s. We have been involved with the design and production of windpumps and other machinery for use in developing countries since 1982. The Poldaw range has proved its reliability in service since 1994. Robustness and reliability (design life-span of at least 20 years). Easy, safe installation and maintenance. Start-up in low wind speed (2.5 to 3 m/s). Survival in high winds (50 m/s, 180 km/h). Low speed operation for smoothness and reliability. The Poldaw designs meet these criteria, and at the same time achieve the lowest cost possible without compromising robustness and reliability. Ultra-low operation and maintenance costs: maintenance is a simple annual procedure. Handpumps: These are preferred for relatively modest water needs but are usually limited to depths of up to about 50 metres. The Poldaw Windpumps can pump from as much as 140m. Electric / diesel pumps: Either requiring a mains supply (not always available in remote locations) or a diesel engine with a regular fuel supply, these pumps have high servicing and maintenance overheads. 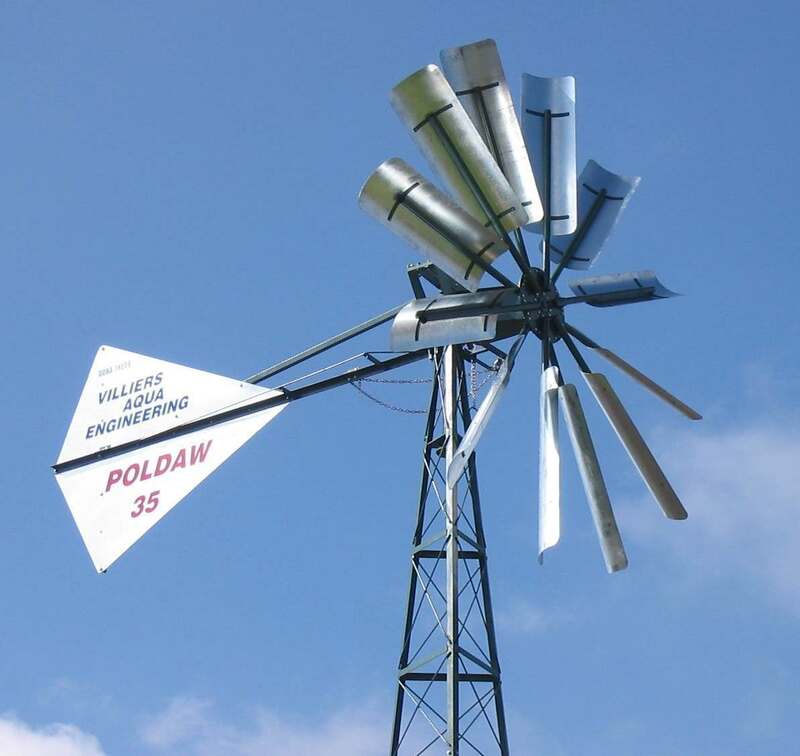 Poldaw Windpumps run on free energy and only require simple annual preventative maintenance. They do not require operator attention on a day-to-day basis. Solar pumps: These can be an attractive option in good sunlight locations are prone to damage and theft. Poldaw Windpumps can be manufactured locally with local materials and are robust and difficult to steal! Poldaw Windpumps are a practical solution and will operate in winds as light as 2.5 to 3 metres per second (approx. 5 to 7 mph). A reasonable sized storage tank ensures water is available even on windless days. (Other powered pumping methods also usually employ storage tanks).